I first used remote desktop connection software when I wanted to access my desktop computer at home while I was traveling for work. It wasn't as fast as being on my desktop computer, but it was great for what I wanted to do. It also saved me time in setting up and maintaining the same software on a second computer. Just remember that the remote unattended computer needs to be turned on to access it. Have you ever been frustrated helping someone fix their computer from afar? I've helped friends, colleagues and customers setup their computer and it almost always takes longer when working over the phone. 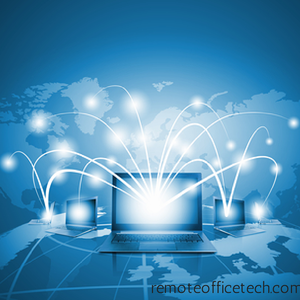 Using remote desktop connection software will save you a lot of time and frustration. The software allows you to see what they are doing on their computer and with some versions you takeover and control the mouse and keyboard. It's like being there and you are in complete control of their computer. This is also really handy if you want to show someone how to do something on their computer. And great for training remote employees on a new system. I've also used this software when someone in a different country is testing their new product on my computer. This allowed them to access the wireless network in my country and run their special software tools on my computer and get instant results. This was pretty handy because it saved them airfare and travel expenses. You can also use some versions of remote access software to connect with unattended computers. This is handy if you are working with someone in a different country with a much different timezone. They can work on your machine while you are sleeping or out having some fun. This article assumes that both computers have Internet access or they are on the same network. A simple test, if they can ping each other then you are okay. If you are not sure how to run the ping command, then make sure both computers can reach google.com. Then you should be fine. If you connect to same computer in the future you do not need repeat steps 1 to 3. When I started researching for software for this article I found a lot of different packages available for download. The software below are versions that I've installed and tested. Over the last five years I've used the Team Viewer software a lot. I first used it when I was working with a development company from Taiwain. We were testing a new product that was connecting to the carrier networks in Canada. They were able to access my computer and run all their tests. Then build a new version of software download it and retest. Over the course of a few evenings we got everything working. This was a lot quicker and cheaper than flying someone over for testing and development. The software allows host support on Windows and Mac computers. Besides connecting to Windows and Mac computers, you can also connect to a wide range of remote devices. This includes tablets and smart phones running the iOS and Android operating system. Note, mobile device support does require an additional license. To check out the TeamViewer website please click here. If you are supporting a lot of remote customers, I think you want to look at LogMeIn Rescue. For the host side the software provides a Technicians Console and an Administration Center. The Technicians Console provides support for a customer queue an multiple active sessions. Not sure if I could support more than one customer at a time, but you can do it. The Administration Center allows support for multiple technicians and the ability to create and review ports. For the remote side the customer just needs to install a small executable Applet. The Applet sets up the remote session and also provides a chat windows and the ability for a customer to send a file. This is nice feature if you need to chat or they are taking logs or other data you need to see. With LogMeIn Pro you can access your home PC or Mac computer with a web browser on your laptop or mobile device running the Android or iOS operating system. How cool is that! To check out the LogMeIn website, please click here. Microsoft remote desktop connection software is available in all versions of Windows 7, but the remote computer must be running Windows 7 Professional, Ultimate or Enterprise. If the computer is running Starter, Home Basic or Home Premium it won't work and you will want to look at a different software package. I haven't used this software a lot, but I wanted to include it in this article, because a lot of people use Windows 7 and it's pre-installed. This software is also available in Windows 8 and I expect it works the same, but I haven't tested it on this operating system. Since the software is already installed in the operating system, you don't need to follow the steps in setting up remote access software. But you must enable the Remote Desktop feature on the remote computer. And the connecting computer must have permission to connect to it. For more information on the Microsoft remote desktop software, please click here. There's a lot more remote desktop connection software packages available than the three I mentioned above. All with their pros and cons. What software have you tried? Please leave a comment below and let me now what's your favorite package or experiences connecting to a remote computer.